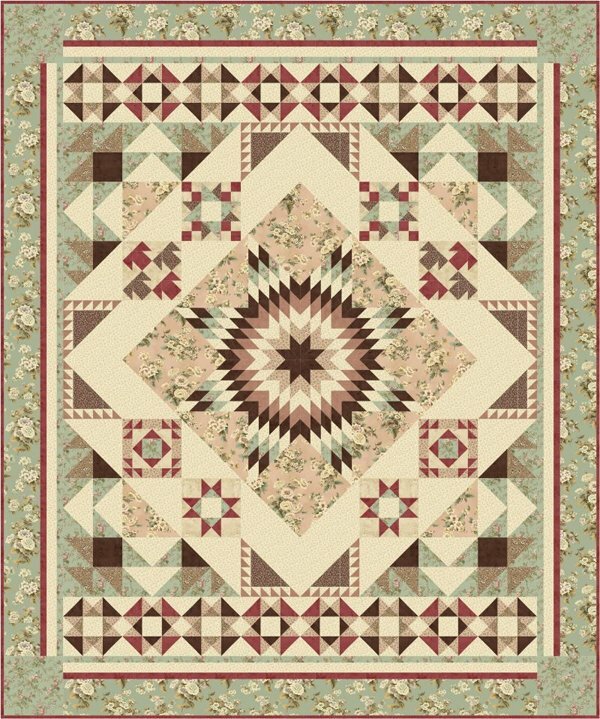 This sampler quilt features Washington Street Studio Antebellum collection by Sara Morgan. Can be used as a Block of the Month pattern for quilt shops. Pattern is 9 pages in full color! Quilt size: 90″ x 108″.